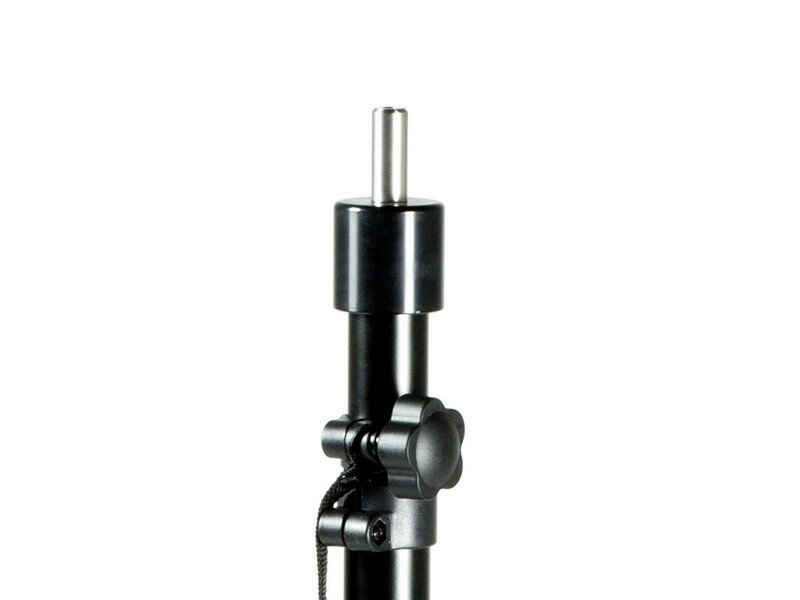 Tripod stabilizer stand with aluminum center tube and steel legs for added strength. Strong, lightweight and portable design, available in anodized black finish. 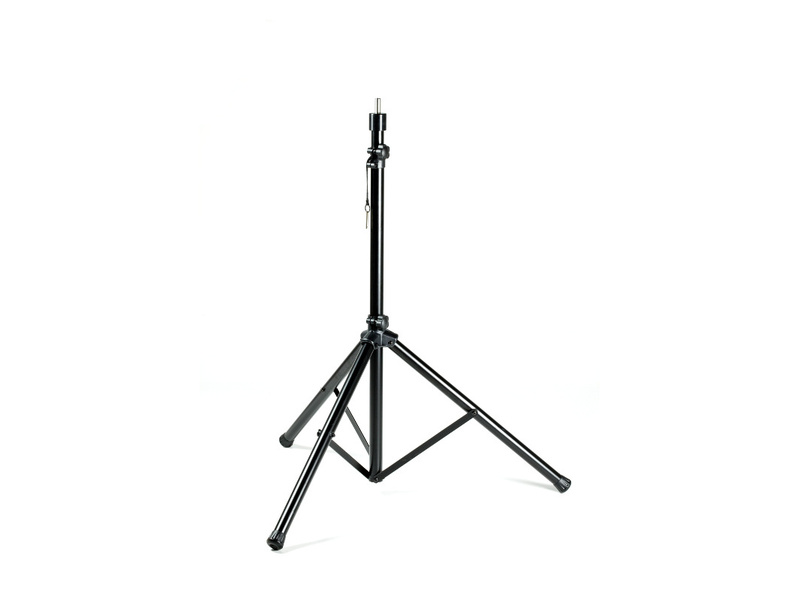 The polycarbonate leg joint found on the stand provides a neat and elegant look to the stand, while ensuring maximum stability. Steel safety pin and chain with snap lock holder on height adjustment collar which prevents the safety pin from scratching the tube’s finish during transport.